The third price project of the competition entitled "Polo scolastico onnicomprensivo innovativo Area sud per la realizzazione di Poli educativi Territoriali permanenti" organized by the Municipality of Palermo, is designed by AFSa and Aei Progetti, in collaboration with Giacomo Talluri and Stefano Mignani (M&E). 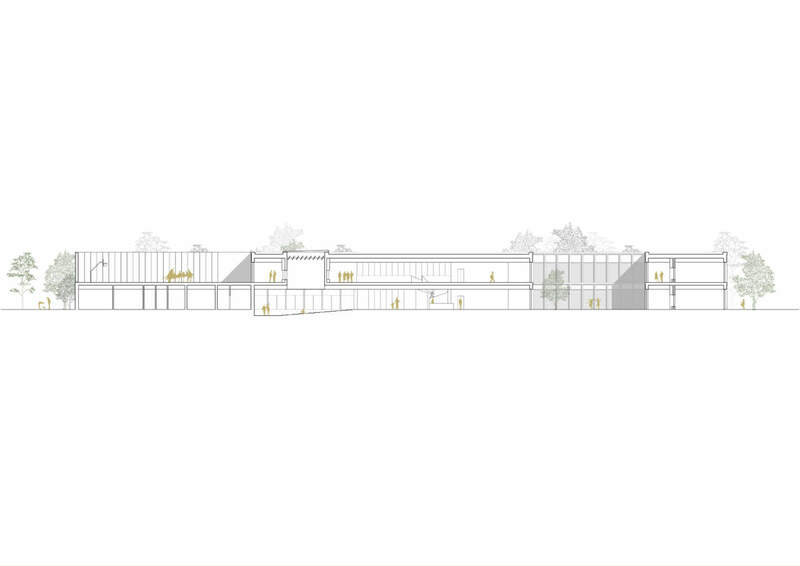 The architectural competition was divided in two phases and designers were asked to think of a new big educational center, made of three areas of nursery, ten of primary school and fifteen of high school to settle in a given site of about 16,700 sqm, located next to via Galletti, in the second Circoscrizione of Palermo. 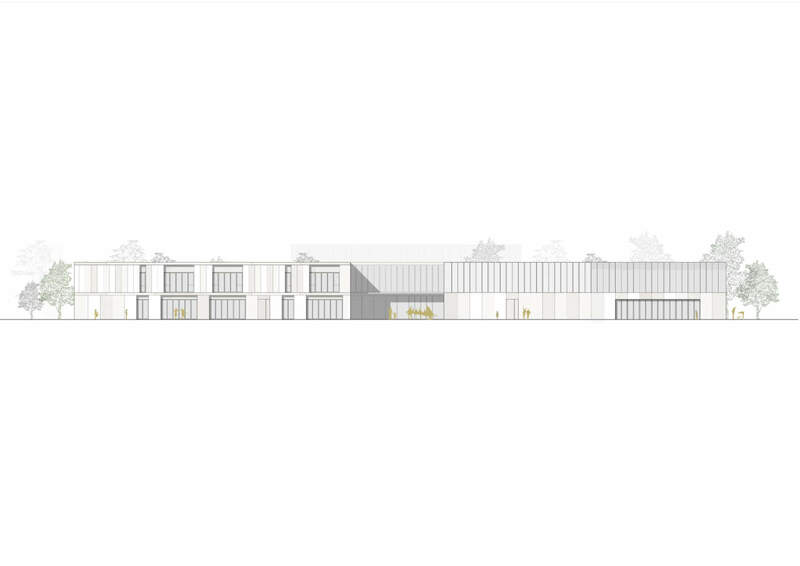 The winning proposal was by Ifdesign, team founded by Franco Tagliabue Volontè and Ida Origgi, while the second prices were given to Draftworks architects (Christos Papastergiou) with Pierro Lucia (designer), Savvis Eftychios (junior designer) and Sakka Fatma Zhora (designer). 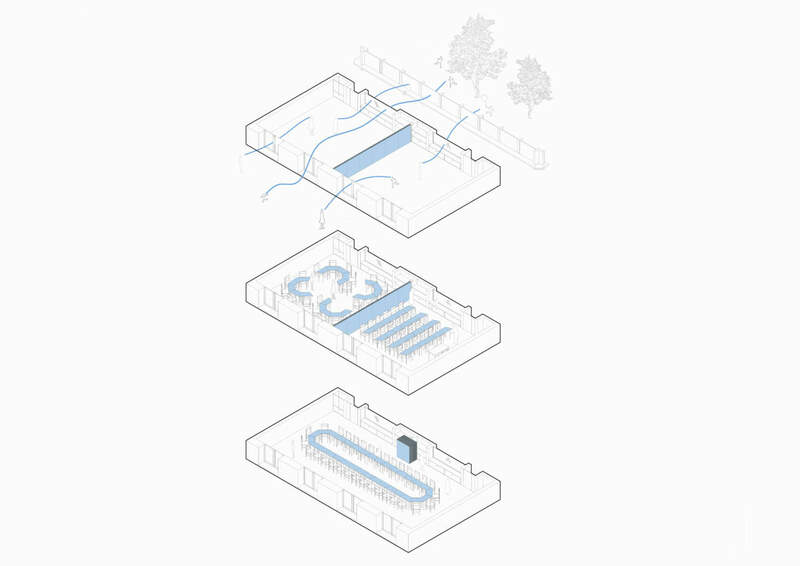 The architect Antonio Acocella, founder of the team AFSa, composed by him and Alessandro Falaschi and Pietro Seghi, describes the genesis of their project through his words. 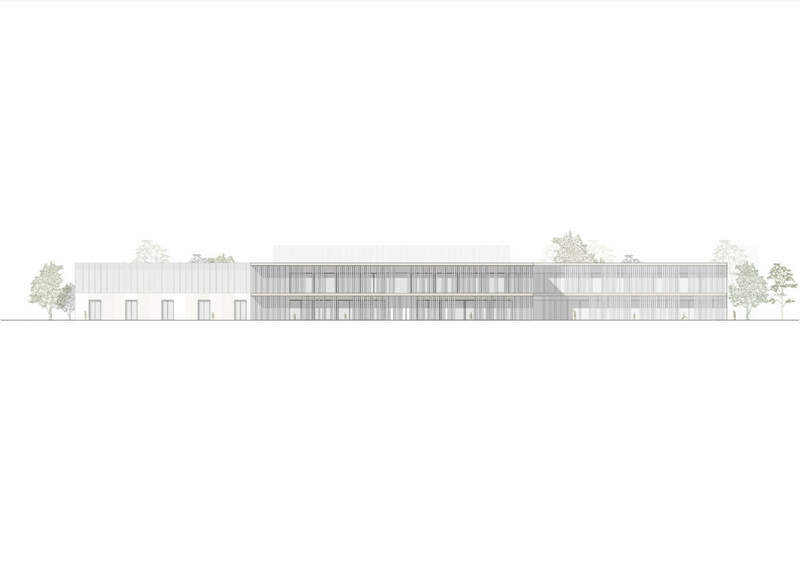 "The massing is the result of the intersection of three square-shaped volumes, assembled by a clear, functional and flexible logic. 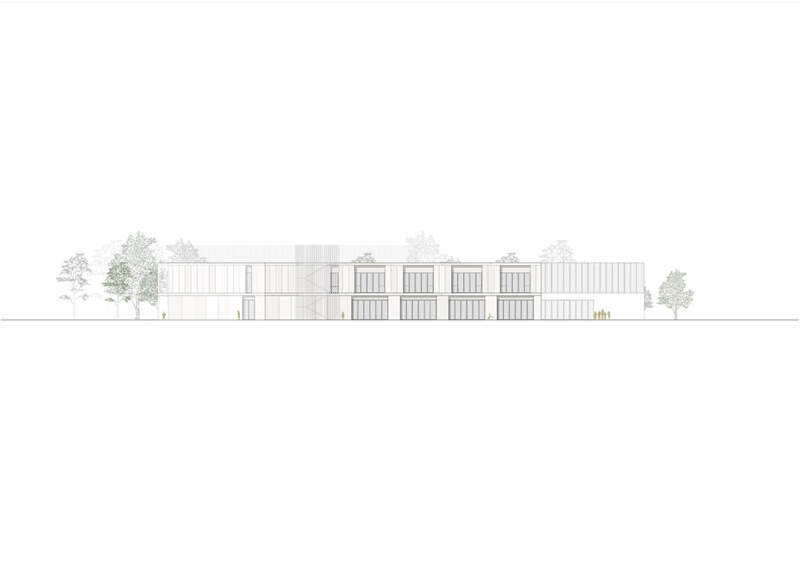 The building is structured according to the main directions of the perimeter of the lot; its compactness and layout give way to vast green or paved areas, intended for sports and leisure activities. Parking areas are planned at the ends of the street front to ensure safe accessibility to users. 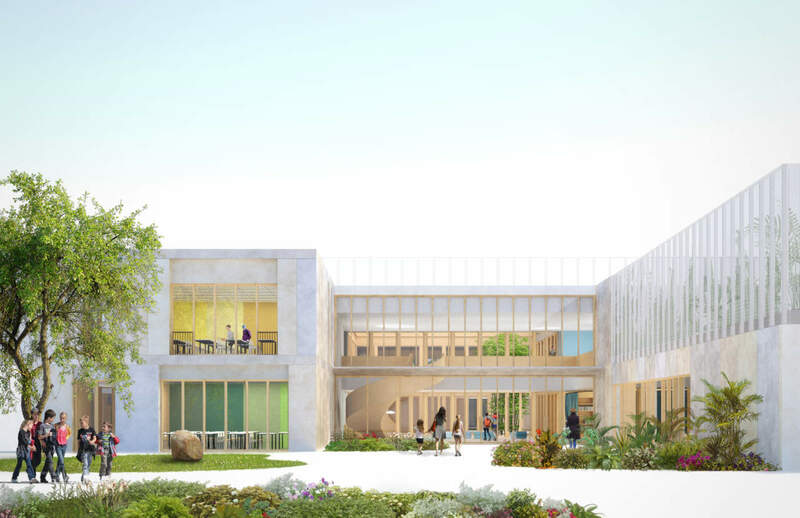 The school and local communities are guided towards the main entrance along a winding and shaded path, inscribed in a system of squares designed to physically and visually connect the new school campus to surrounding urban fabric. 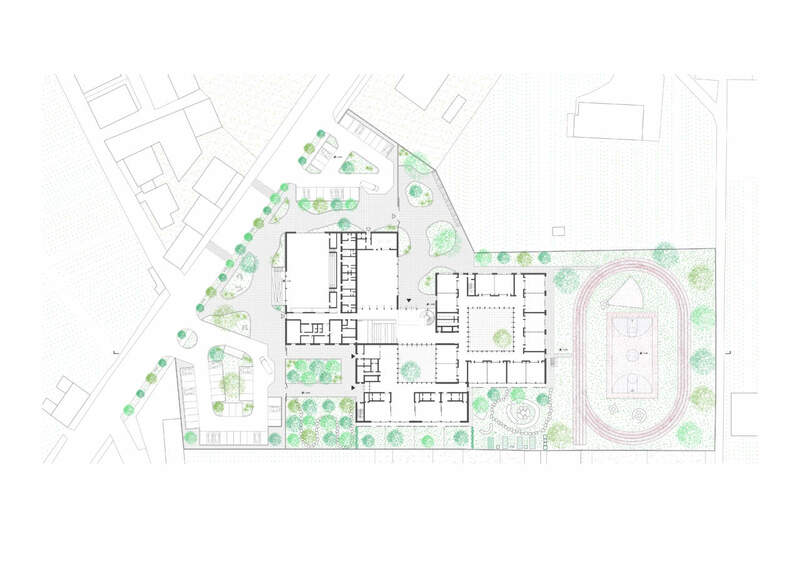 Two of the three volumes are partially emptied from courtyards open to the sky, around which are arranged the spaces of kindergarten and primary school (ground floor) and lower secondary school (first floor); the third square hosts, at entrance level, the collective functions (canteen, gymnasium with related services and administrative area), while at first floor level are situated outdoor playgrounds and didactic gardens. 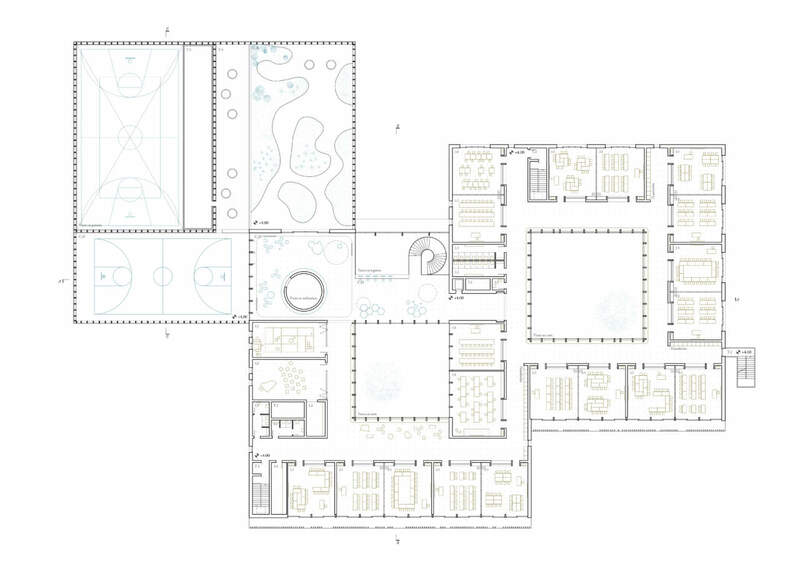 This volume can operate independently from the rest of the building thanks to a careful study of the access system and the possible isolation of certain premises; the new structure is thus configured as a civic center which can act as a driving force of the territory by enhancing cultural, social and recreational activities also in after-school time. 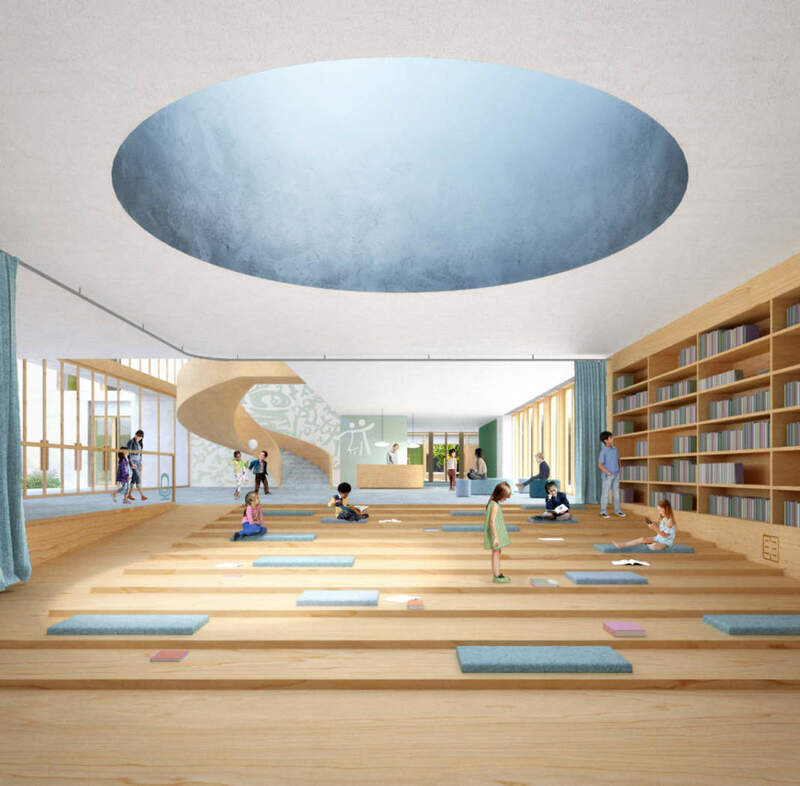 In a central position is the agora: developed on two levels - connected by the double-height entrance -, it is the meeting place between school and community, the functional heart of the building and the center of horizontal and vertical connections. 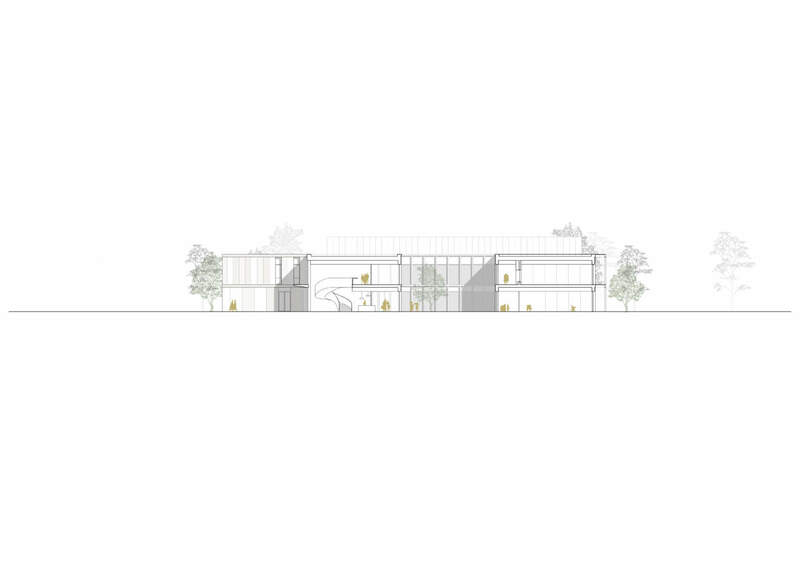 Inside of it there is the library-auditorium, a flexible space designed to accommodate moments of informal study, performances, screenings, lectures, assemblies. 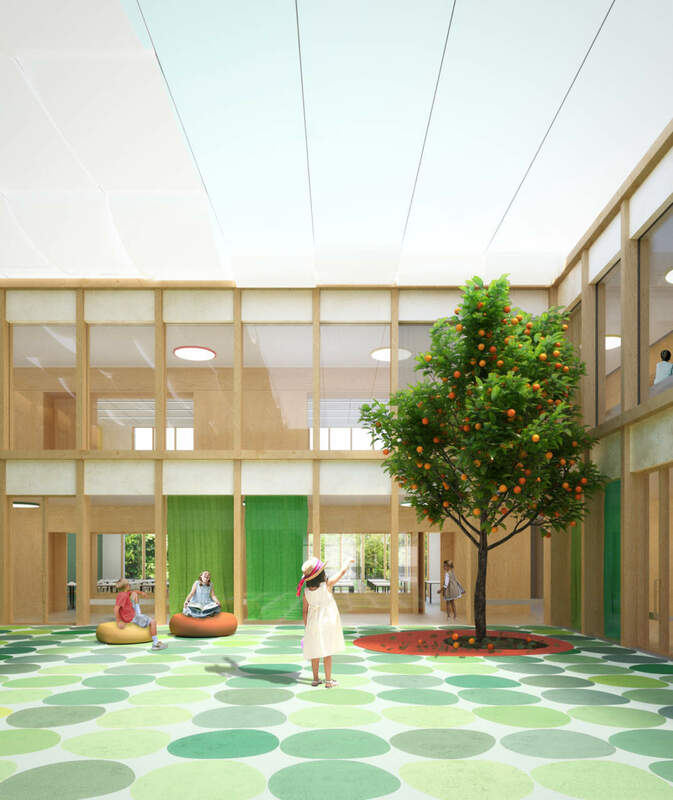 Versatile and transparent classrooms are intended as educational workshop that can be reconfigured according to the different ways of working, as domestic space to live, personalize and to care for; pupils develop a sense of belonging and sharing, so the school strengthens its identity as a local community between generations. 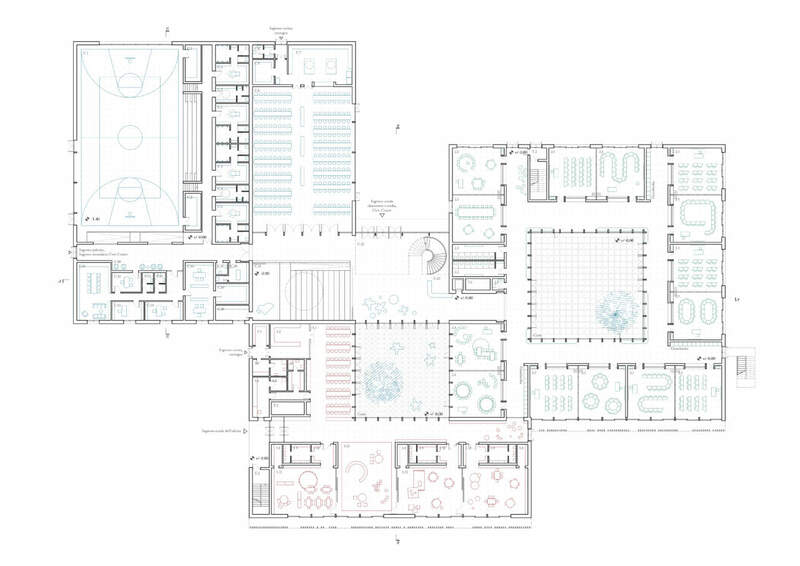 The intervisibility inside/outside – from the classroom toward the green spaces and the courts - and inside/inside - between rooms connected by glass partitions – allows the avoidance of merely connective spaces, by activating the entire building as a place of potential encounter, dialogue, study and play. 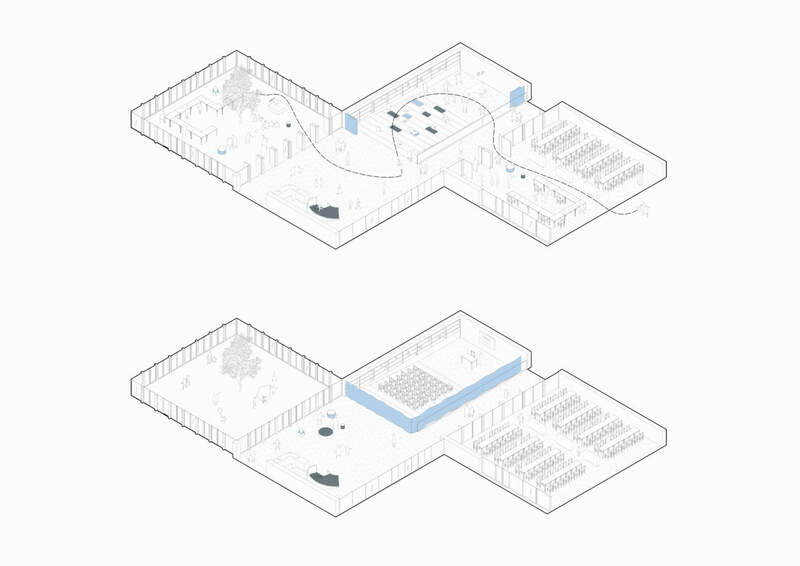 The floor plan, characterized by multifunctionality and versatility of fixed and mobile furniture, increases the usage time thanks to the possibility of reconfiguration of the spaces. 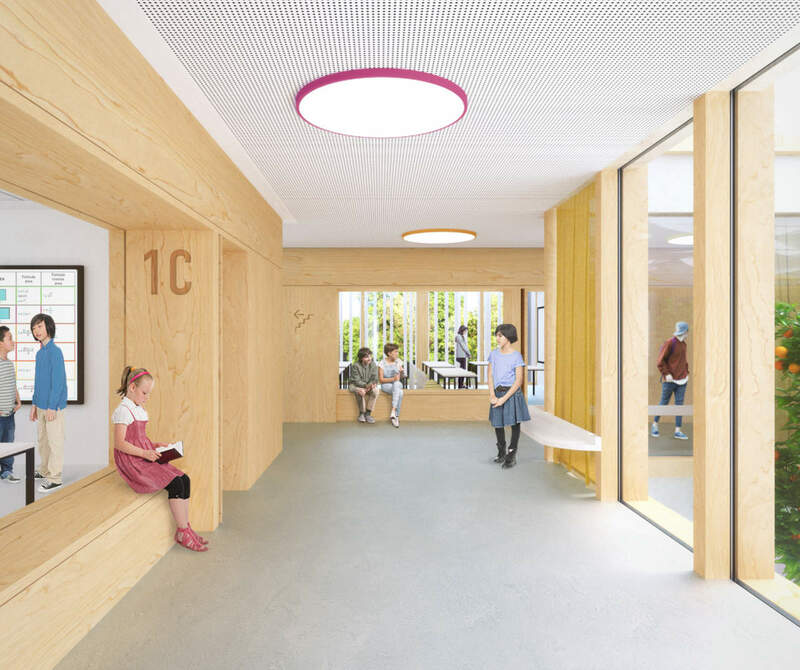 Environmental education is transmitted, primarily, through the example of the school building itself: an architecture made of natural materials, with cross laminated timber structure, wooden window frames and external cladding made of prefabricated panels finished in different shades of white plaster, aimed at conveying a contemporary Mediterranean identity. 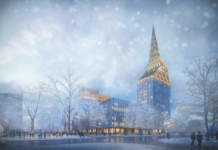 The building energy management project has been developed around five points: savings (following the principle whereby the least expensive energy is that which is not used), efficiency (waste control using cutting-edge technologies and wary use of resources), integration (use of an advanced BEMS for easy handling and quick and consistent response), comfort (visual, acoustic, climate). 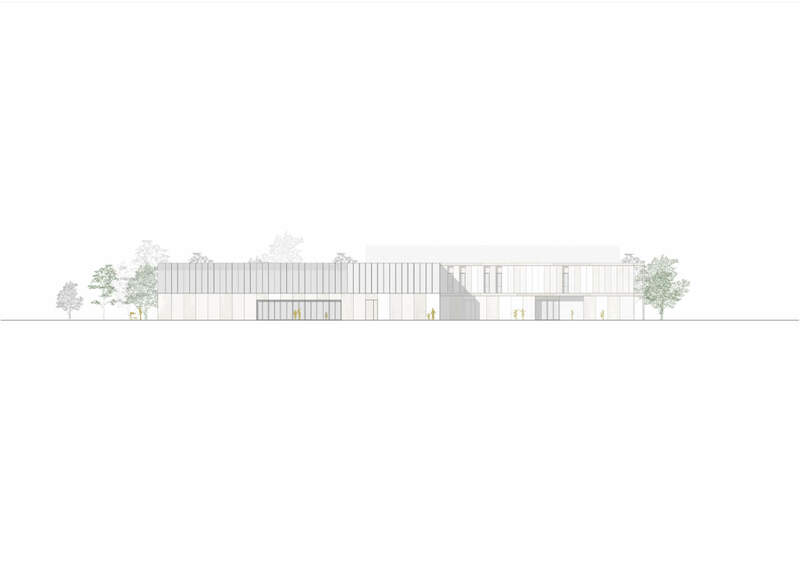 The ability to delimit and isolate certain areas of the building according to requirements allows, together with a high MEP flexibility, to illuminate and heat only selected areas, resulting in energy savings."